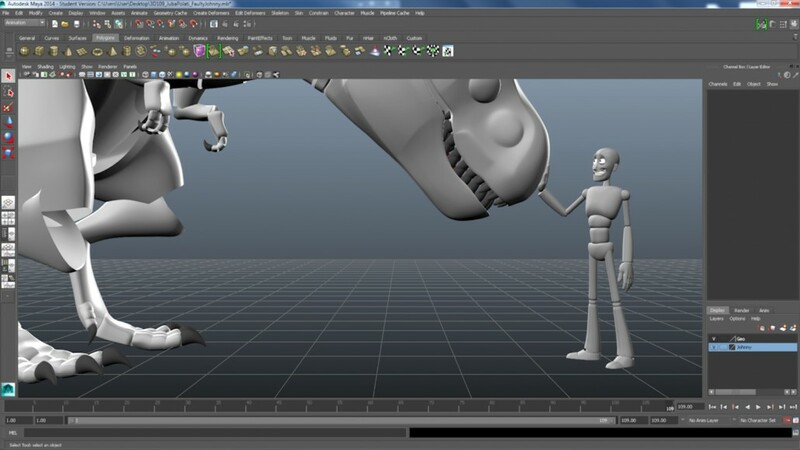 Hello there, my name is Juba Polati and I am the animator who created “Cursed” – that short film where a bunch of stuff happens in Maya, yes the one with the T-Rex. If by any chance you haven’t seen it, I would love for you to watch it, it will make things a lot easier to understand from now on. Before we begin, I want to clarify that there are many ways to create a project, here I will briefly talk about how I tackled my Short film, just bear in mind it isn’t the only way. Also, I will be using a lot of terms and words that are part of the CG and Animation world, I will try to explain as much as possible, but if you don’t know a specific word, then it’s a great way to familiarize yourself, look it up online and find out what it means. My process is a lot like what DJ teaches here at Animation Salvation, but still, a little different, here I’ll explain. These are what I would call my steps in regard to DJ’s. With that being said let’s begin, but first Research! After I came up with the idea, which is the easy part by the way, I went and did some research! What I mean by that is, I thought about what I wanted the film to be, so I went online to find images that had the same look, and same style I was going for. I tried to find things that would help define what I wanted to create, so the transition of what’s going on inside my head to reality was as close as possible. I “faked” the scene by creating a plane in the scene and projecting the texture of the UI onto it. On the other hand I also needed to find out how I was going to make it. 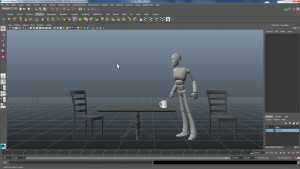 My first major road block was figuring out a way to have everything inside a Maya scene. I started experimenting with screen capturing & practicing the mouse movements to fit the action of the character; but I soon realized that would take more time than I had. 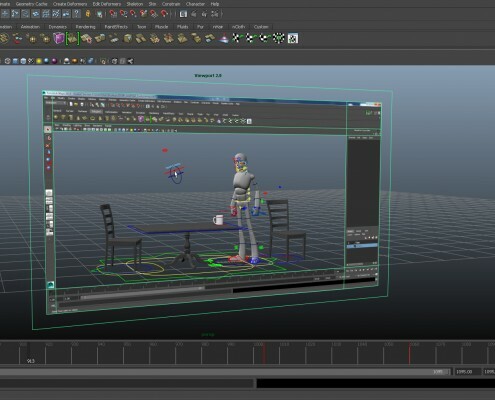 So I figured out another way to approach it, I would “fake” the scene, by measuring the width and height of the Maya UI (User Interface) and creating a 1:1 plane in the scene I was able to project the texture of the UI onto it. I then created a simple rig to control the interaction with the mouse and there it was, the basis of the project. I maintained the same idea for everything else, creating other planes with projected textures for the file menu and Import screens, and a simple 3D rig for the Cursor. That let me have absolute control over the timing and interactions, which in the end saved me a lot of time. After figuring that out, I could actually start planning the film, and move on to the animatic. For those of you who don’t know what an animatic is; it is the simplest form of showing your animation or movie. You make storyboards and compile them to show the pacing and timing of your shots. 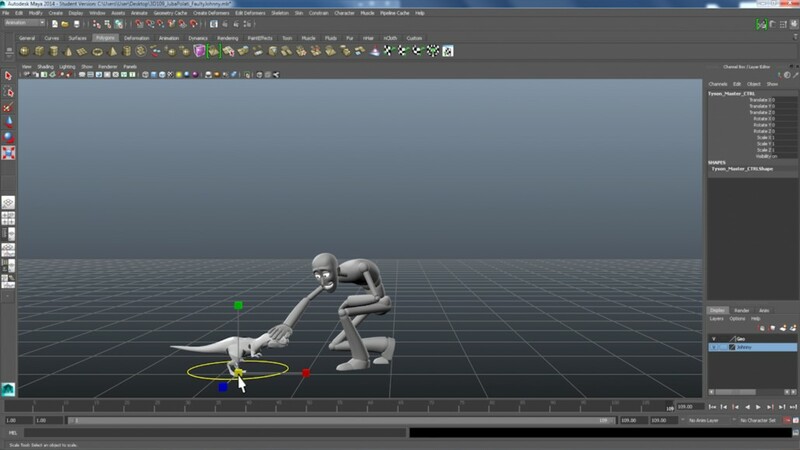 Create an animatic! It becomes incredibly easy to tell what works and what doesn’t in your film, and so, easy to fix at this stage. Watch these clips, they will explain it a lot better than I can. I can definitely say this was the hardest part for me, since the idea I had let me explore several different situations, and it was hard to pin down the story and interactions to fit the short time frame I had. But with this process I was able to figure out what story I was telling and how I would tell it. 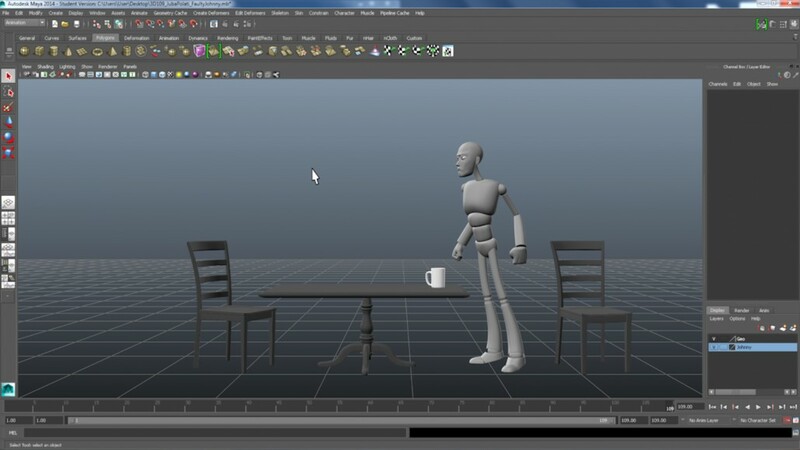 For me it was easier to go straight into a 3D animatic since my staging was incredibly simple and I didn’t have any complex compositions. So I shot some live reference of me playing out what I imagined the interactions would be like, cut and edit my footage to play like the film and added most of my golden poses to the scene, and there it was, I had my 3D animatic. I make it sound simple but this stage took weeks of work and planning, and the contents of the film changed several times. Show your stuff to other people and ask them what they think. It really helps to have that different perspective. and knew I was changing it for the better. I have to say I had a lot of support from my animation teachers and friends, and without them, the film wouldn’t be half what it is. So in this stage, show your stuff to other people and ask them what they think. It really helps to have that different perspective. At this stage it’s all about experimenting, creating, showing, reiterating… Rinse and repeat. And after you have something that works and that you like, well then my friend, it’s time to get your hands dirty! 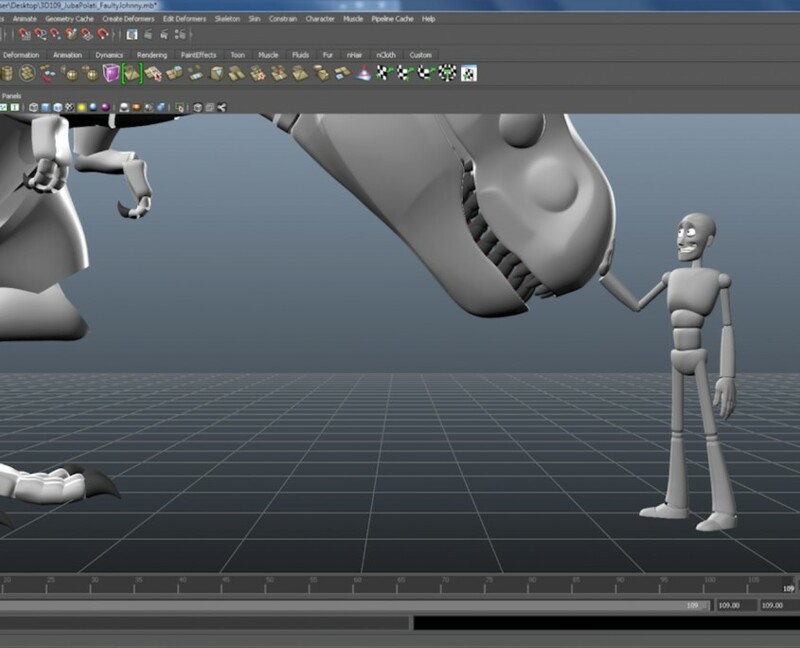 Animate, animate and ANIMATE! That is all. Well there is a bit more to it than just saying animate… In my case I had a huge scene (time wise, not in actual file size) that held all my golden poses, but if I started animating within that scene, for one it would become really heavy and give me immense heartache at the end of production, and lastly I would never feel like I was accomplishing anything, since the shot would never be done until the last moment. So I got some great advice from my mentor to break the movie down into separate shots, that way it would become a lot more manageable, and by separating them into difficulty, from easy to hard, it became easier to judge how much work I had to do. I started with the easiest shot I had, to get the animation juices pumping to my brain, and immediately jumped to one of the hardest, I made it my priority to finish the hardest ones first, because leaving them to last was too much of a risk. I would always go from a hard shot to a medium, back to a hard and then maybe an easy one to regain my spirits. But you must be asking: how do you take on a shot? Where to start? A lot of places, first and foremost, on your computer desk. 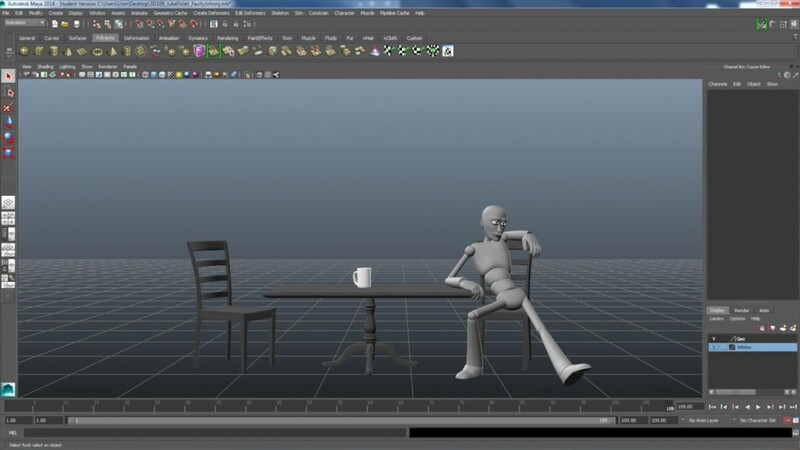 Sitting with the correct posture, and also taking breaks every hour to stretch, because kids, maintaining your physical health also keeps your animation “alive”, see what I did there? I mostly start on paper, writing down my character motivations and actions I imagine would happen in the shot, and with that in mind I move on to shooting live reference. Reference is incredibly important to your shot and Animation in general, so I focused on learning a lot of the process and how to make it work for me. I would get a camera that shot in 24fps, go inside a room and stay there for hours at a time, thinking of silhouette and staging, character reactions and motivations. I had a lot of help from my friends, but if you’re not comfortable with shooting in front of other people, that’s totally fine. Find what works for you. After I got my reference, I would cut and edit the shots I thought worked best, and mash them together into a single clip. That made analyzing and studying my body acting a lot easier. I analyzed the clip to understand what was moving when, and where the center of gravity was; all that good stuff. After I had my Golden Poses, I would block in the key poses to tell the timing, extremes and movement in the shot. Keep in mind in this phase I’m still in stepped mode, working to find the right timing and spacing in my action. After I was happy with my blocking, I would start adding breakdown poses, to help define my arcs, overlapping actions and follow through. This helps to read the action better and get a better sense of the movement. This is the part where you take your animation from Stepped mode, into the smooth Linear, or Auto mode. I experimented a lot in this phase, changing the modes to see what I preferred for the shot. This is also the part where I started to clean up my Graph Editor. This is the last 10% of your animation, the cherry on top! I spent a lot of time in this part, just adding detail and texture to the animation, but one thing I always kept in mind is knowing when to be done with a shot and move on, since I had another fourteen to work on. It is hard, and a lot of times I left a shot with the feeling of it not being done, but that let me touch every shot then go back, polish and fix what I already had. What did I do after I finished animating? Ha! Surely you jest my friend! I was never done animating! 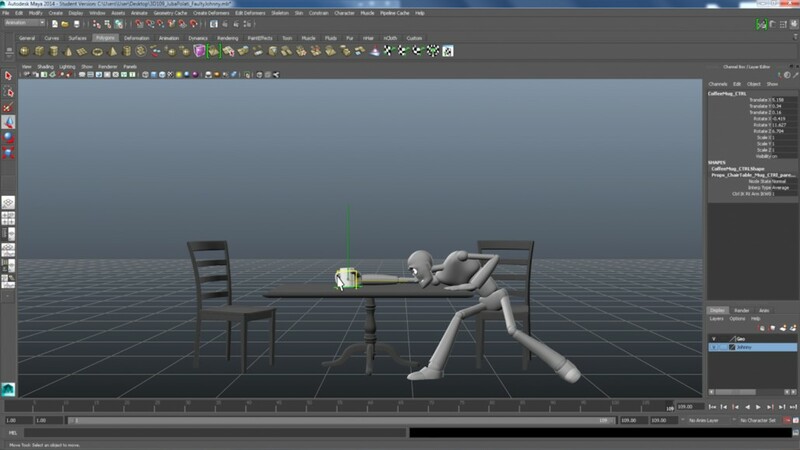 I had a deadline, and so couldn’t animate anymore =D. But either way, what about rendering? Rendering is for FOOLS! No, I joke. Rendering is awesome! But I had a choice: spend time rendering or animating? I chose the latter and playblasted my film. I just found a way to get a decent quality out of the playblast and since I was doing that anyway to check my animation, I had all my shots getting updated every time I polished something. All I had to do was some editing, titles and picking my soundtrack, which I did from 5 Alarm. 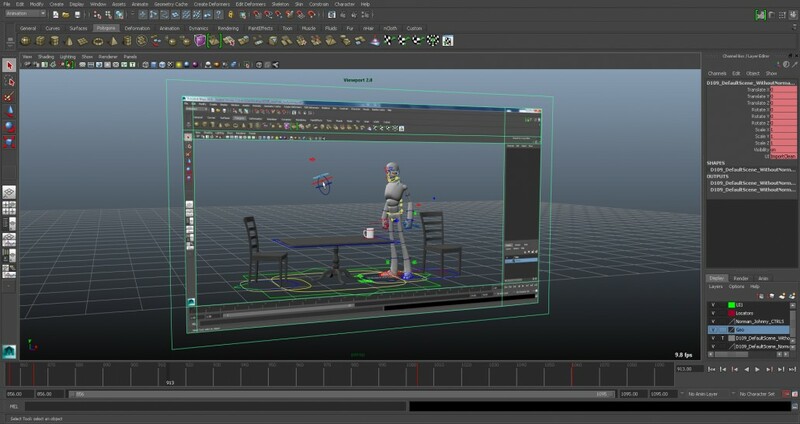 The Sound Design was done by Matt Thomas from VFS. Thank you to him! Well this was mostly my process, and there were times where a lot of these overlapped each other in production time, I was editing and doing titles, while I animated, I was blocking a shot and polishing another. Also what I describe was a process taught to me by incredible artists (aka animation Teachers and friends) that supported and helped me through making the film, so for that I’m always grateful. If you made it this far I congratulate you on the conviction and thank you for reading! Now, all I can say is, go animate!